An event or two is hosted very often. In our personal life, weddings, parties and other traditional occasions keep ringing our doorbell to invite us. One or the other of us is compelled to throw parties to our beloved friends and relations. In our professional space too, we come across invitations of events or are responsible for dealing with an event hosting and arrangement. 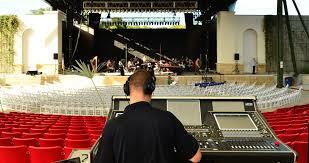 Audio visual would extend a helping hand for delivering the event to the audience. If all is well-planned and implemented, the event you have dreamt of will come true. With the support of VRS Technologies, a professional AV Rental company, you could make the event go beyond your expectations. The audio visual equipment you are pulling in for the event is largely responsible for the success of the event. Ensuring the sound quality of the equipment is a matter of high regard. If you are wishing the event to go smoothly, all the tools should work soundly or the results you expected will be unmatched. Before affording something distasteful like this, better assess as to what can be better. Or VRS Technologies is here to extend its warm support with incredible audio visual rental and services to pull any such concerns out of the way that are attempting to ruin the success of your event. We have a well-framed approach to make your event a simple affair and save you from having to run into difficulty. Before realizing something in its physical reality, a mental perception and assessment is always a saving idea. Prior acknowledgement of the pre-requisites, envisioning as to how many the event venue will be accommodating, the intensity of vibrancy you want in the event hall and so forth will lay the road for the event success. In terms of business conferences and presentations, the technical tools and equipment is the question in hand. The better the use of technology, the greater would be the presentation. Desktops, laptops, projector screens, microphones etc. are the basis for hosting about any good presentation. VRS Technologies in Dubai is equipped with audio visual rental equipment for hosting all kinds of family and personal events. We are heaped with plenty of stock for reaching any big size of requirement. Even if your need is minute and you need a single piece, we have it available for you. Or we go up to meeting any big size your event is compelled by. We are proud we have achieved the long list of happy clientele through our hard work and diligence. If you wish to host your event with superior audio visual rental equipment, do get in touch with VRS Technologies at +971-55-5182748 . Our website www.vrscomputers.com will furnish in detail about our rental and services.